This is a bit of a twist on contemporary and traditional, with an oriental flavour. 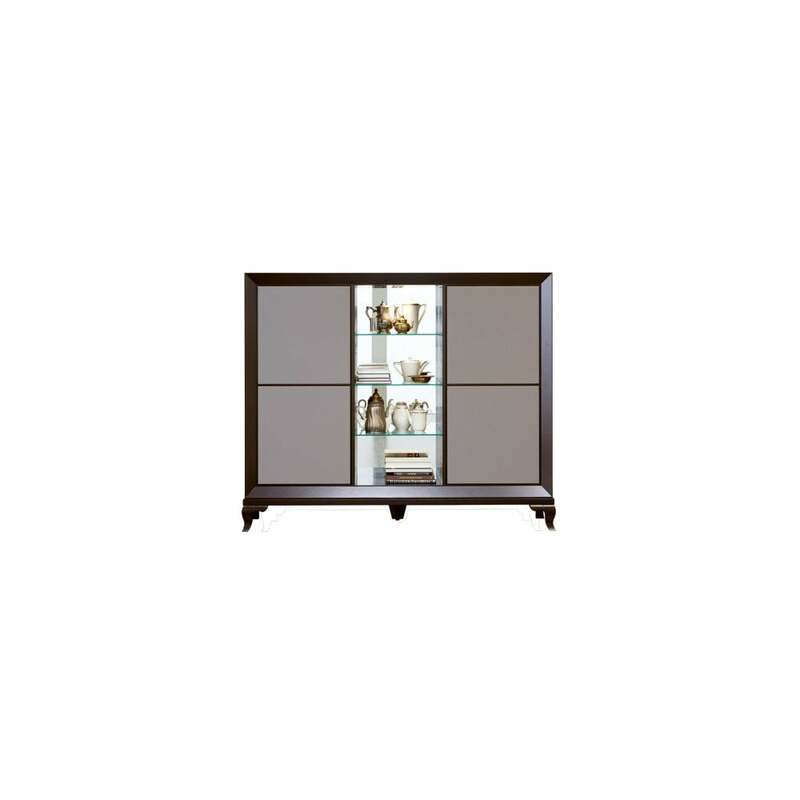 The Nikolaij Sideboard has an open central display section with 3 adjustable single pane glass shelves, the mirrored back wall and lighting make it the ideal space to showcase your treasured collections or pieces of objet d'art. On either side of the central section are 2 push and pull doors, each with 1 adjustable wooden shelf, providing ample hidden storage, a necessity in any living space. A striking feature are the solid beech ornate legs, giving the sideboard it's traditional and oriental feel. The main solid sections are linden, veneered in rich, dark cherry. You have the option of leather fronted doors for a bespoke finish. The unit comes with adjusters to guarantee door height balance.